Newly crowned WBO NABO bantamweight champion Antonio “Carita” Nieves (16-0-1, 10 KO’s) will return to the ring on Friday, August 19th when he takes on the also undefeated, Nikolay Potapov (14-0-1, 6 KO’s) from Rhinos Stadium in Rochester, New York in a 10-round bantamweight bout. The co-featured match is part of a tripleheader that will be live on Showtime as part of their “ShoBox: The New Generation” series that focuses on up-and-coming prospects in the boxing game. Nieves is coming off his first 10 round bout, a unanimous decision over then once-beaten Oscar Mojica on June 18th in Washington, Pa., when he won the WBO NABO crown. 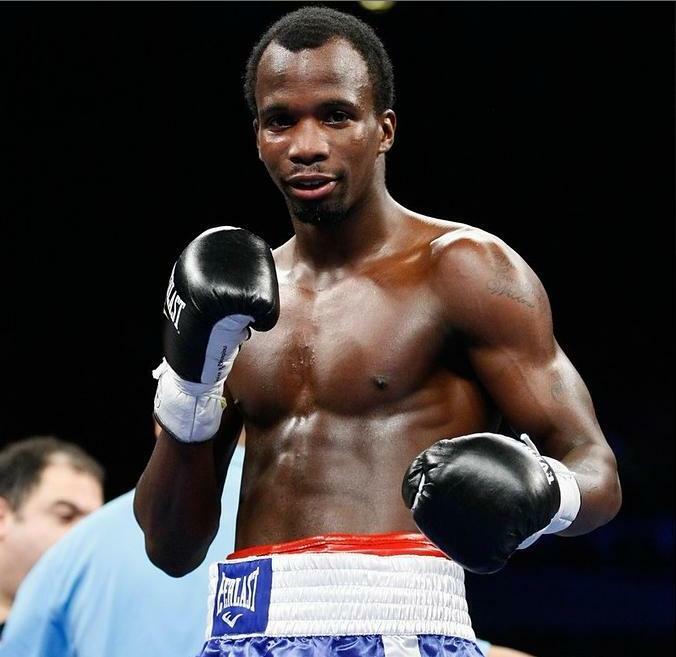 Potapov is coming off a 10 round majority draw against Stefon Young on April 15 that was also televised by Showtime for their “ShoBox” series. Ironically, the only blemish on Nieves’ record is the draw that he also had with the aforementioned and fellow undefeated Young last June. On paper this appears to be Nieves’ toughest fight. Potapov was a former amateur standout in Russia with over 200 wins and is ranked in the top 15 by the WBO (No. 7), IBF (No. 13), & WBA (No. 14). He’s also already had seven bouts that have gone ten rounds including one which went 12. The event is promoted by Salita Promotions and tickets go on sale this Friday at Noon ET at www.rhinosoccer.com and www.etix.com. Cotto battles Trout in a matchup of top 10 contenders! Two of the top ten Jr Middleweights (154 lbs) in the world will square off at the Madison Square Garden in New York City tonight. Miguel “Junito” Cotto (37-3, 30 ko’s), ranked #2 by Ring Magazine, takes on undefeated Austin “No Doubt” Trout (25-0, 14 ko’s,) ranked #9 by Ring Magazine. The fight will be shown on Showtime and they will battle for a world title belt that shall remain nameless, as I don’t give credence to any of the corrupt sanctioning organizations. While Trout is known in the boxing community, he is not well-known to the general public. The fact is he is an excellent boxer-puncher, a southpaw, and is a live dog tonight. Fighting in Cotto’s home away from home will not pose any kind of threat either. Trout has fought in hostile territory before, going on the road to Panama and Mexico and winning decisions. To win decisions in an opponents home country should tell you what kind of boxing lesson he had to display. If Trout goes on to win the fight, it will be by decision yet again. Only once has “No Doubt” scored a knockout in his last eight fights, a span of over three years. Cotto will bring the experience edge into this fight and has clearly fought much tougher opposition. Even though “Junito” has taken much more punishment over his career, he is still incredibly sharp, evidenced by his last fight when he gave Floyd Mayweather a much tougher fight than expected in a 12 round decision loss. While Cotto comes into the fight with three losses, his losses are to Pacquiao, Mayweather, and Margarito (most likey with loaded gloves). Trout is not in the same hemisphere as those guys. Not yet at least. Also Cotto has done well against southpaws. “Chop Chop” Corley, Carlos Quintana, and Zab Judah are a few of the notable names that he has not only defeated, but knocked out. If Cotto wins tonight, it will most likely be by knockout. In his last 6 wins covering over 4 years, 5 have come inside the distance. Joshua Clottey, who has never been ko’d in 40 career fights was the only boxer to go the distance in that time frame. The winner of this fight would be in prime condition to take on Floyd Mayweather for what would likely be the true Jr Middleweight Championship of the World. That likely won’t happen as Mayweather appears headed for a Welterweight showdown with Robert Guerrero however. Cotto meanwhile has been linked for a showdown with #3 rated Jr Middleweight contender Saul Alvarez. Another fighter that could emerge for the winner is #4 rated contender Erislandy Lara. I feel Cotto is just too strong and experienced for Trout in this one. I do like that Trout will travel wherever he needs to get a fight, a characteristic that doesn’t go unnoticed. Trout has never faced the caliber of opponent that he’ll see in Cotto. The early rounds may be split, but Cotto’s power shots will eventually wear down Trout as I see Cotto getting another knockout. Cotto KO 9. Cleveland welterweight prospect Willie “Quiet Storm” Nelson (16-0-1, 10 KO’s) is scheduled to take on Vincent Arroyo (10-1, 7 KO’s) in the opening TV bout on Showtime’s “Shobox” boxing series on Friday, April 8th in Laredo, Texas. Nelson is coming off a first round TKO over Quinton Whitaker last November in Atlantic City, New Jersey. This will be the first time that Nelson will be featured on national TV. 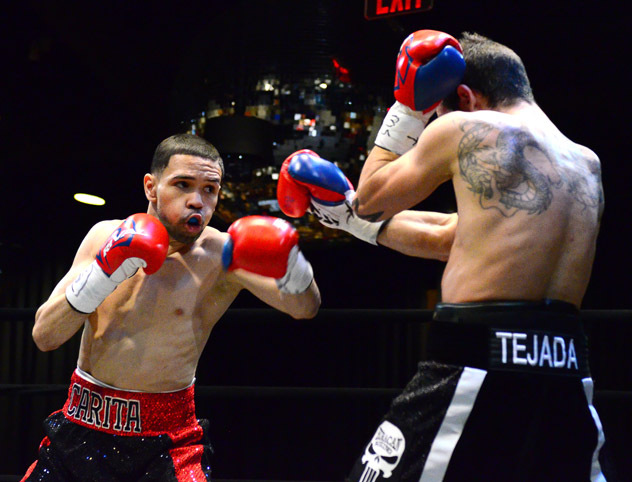 Arroyo will try to make it back to back wins over undefeated boxers as he is coming off an 8th round KO over the previously unbeaten Jeremy Bryan last April in Atlantic City, New Jersey. His lone loss was a unanimous decision loss to Mike Dallas Jr., who was also undefeated at the time of their fight.